AMOUNT OF PRODUCT: 0.07 oz. PACKAGING: It’s packaged in a skinny, plastic, felt-tip marker. SIZE: About the size of a standard ink pen. 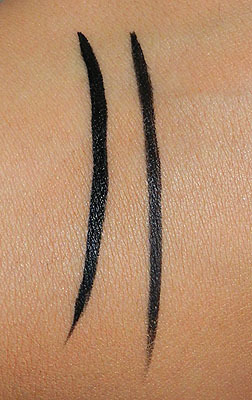 CONSISTENCY: Comes out of the pen very wet and watery, like typical liquid liner. 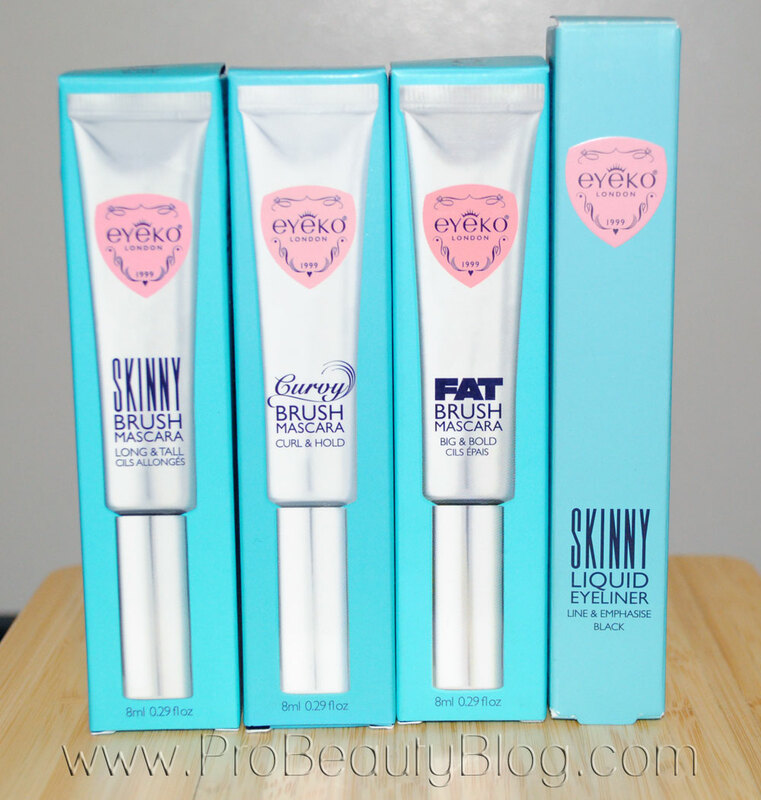 INGREDIENTS: -Sodium Hyalauronate: Helps prevent color from cracking or crumbling. PEG – 30 Dipolyhydroxstearate, Ammonium Methacrylate Copolymer, Water, Sodium Hyalauronate, 2-phenoxyethanol. May contain: CI 77499 (Iron Oxide Black), CI 77742 (Manganese Violet), CI 19140 (FD&C Yellow 5), CI 16035 (FD&C Red 40). 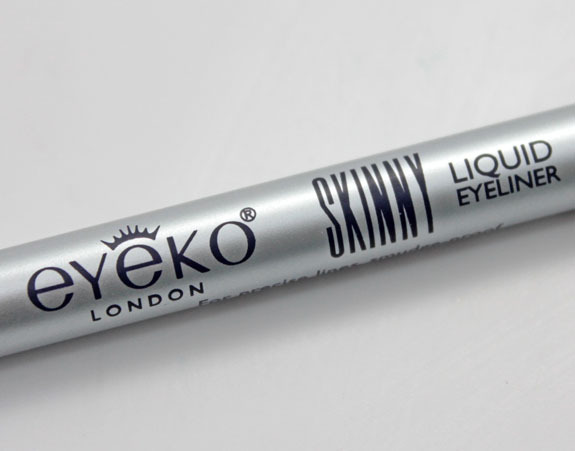 Whether you want bold drama or grown-up glamour, you can line and define your eyes in an instant with our easy-to-control Skinny Liquid Eyeliner. The preservative-free formula with key ingredient, Sodium Hyaluronate ensures that colour glides on and stays on for a long-lasting, glossy finish. … it just stops working. I’m not holding the pen upside down or anything, either. I’m holding it paralel to the floor (as I do all felt-tip liners) and it quit working. I then proceeded to hold it tip-side down for a few seconds, went back up to the eye, and it worked for 2 seconds then quit again. It was the end of a love affair. So, although I loved the pigmentation of the pen, I can’t deal with having to continuously pause to let liquid saturate the tip of the pen every few seconds. I don’t know if this was just a fluke of one pen, but I didn’t much enjoy dealing with it. Have any of you had a different experience? Let me know in the comments!